Draughon explained Petrie is widely known for penning The Auburn Creed and bringing football to town; but, he was also credited with inspiring many students to become historians, at what was then an agricultural and mechanicalinstitute. Draughon said in that moment, he too experienced Petrie’s charisma and was deeply affected by the fact that this well-known figure took a serious interest in him and did not just comment on how much he’d grown, like other adults. Draughon went on to complete his Bachelor of Arts in history at Auburn and doctorate in southern history at the University of North Carolina at Chapel Hill. 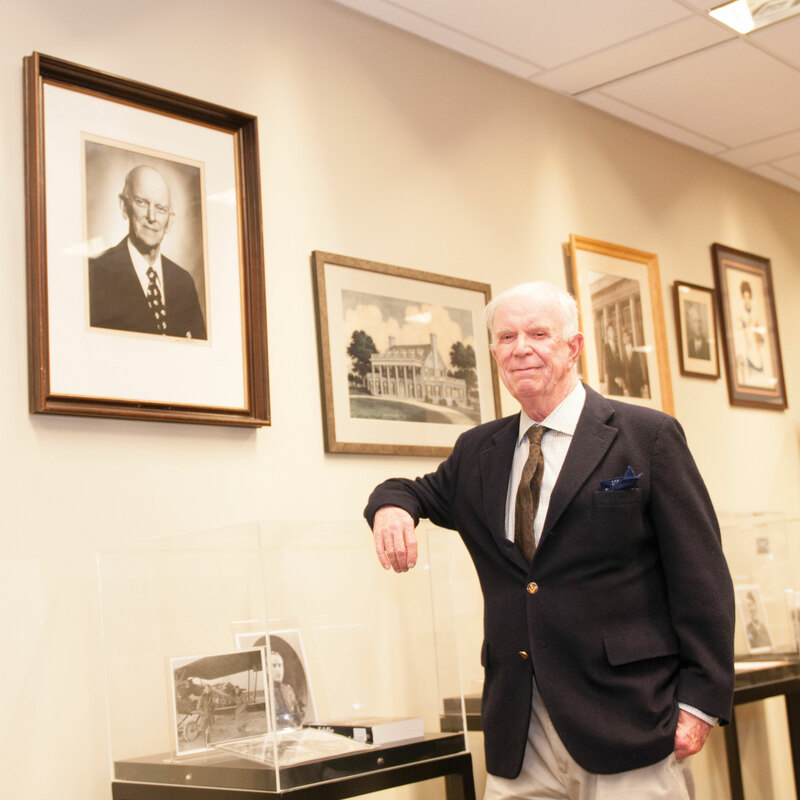 ABOVE: Dr. Ralph B. Draughon, Jr. poses with a photograph of Dr. George Petrie at Ralph B. Draughon Library. ABOVE: Frank Applebee, founding chair of the art department, captured this view of Auburn’s campus near Samford Hall, ca. 1930–40, around the same time Dr. Draughon, Sr. began teaching at Alabama Polytechnic Institute. Draughon experienced much of Auburn’s history during his time as a son and a student; in fact, one could say, he wrote the book. He is the co-author of “Lost Auburn: A Village Remembered in Period Photographs,” whose first publication of 20,000 copies with NewSouth Books sold out. He serves on the Alabama Historical Commission Board and is a member of the Alabama Trust for Historic Preservation. He taught at the University of Georgia, established a research center at the birthplace of Robert E. Lee, Stratford Hall, served as curator at the Historic New Orleans Collection, and acted as historical advisor to a major national archaeological firm. 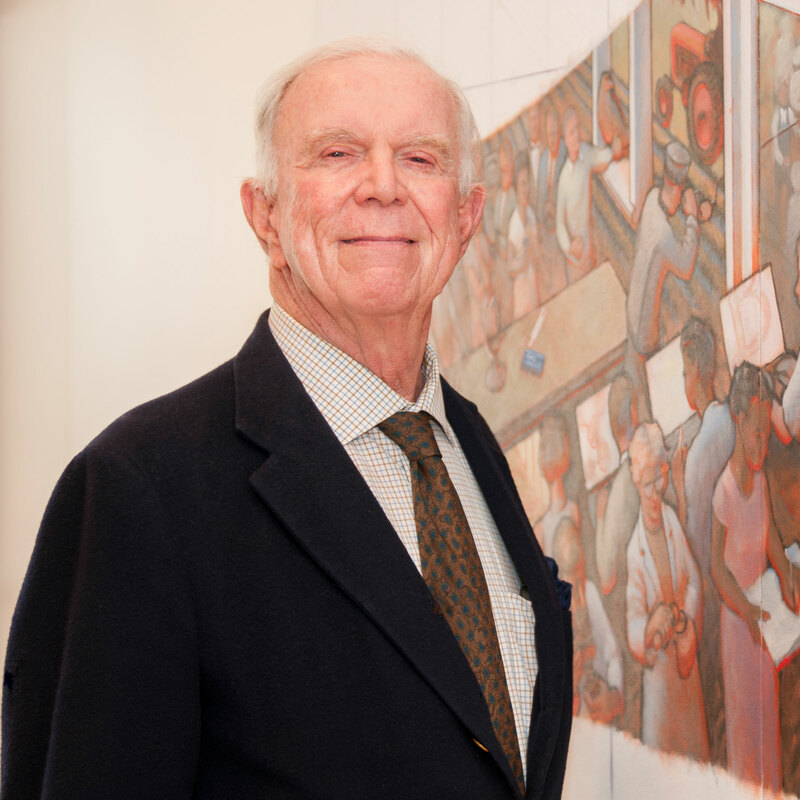 Draughon, who is also a donor to the museum’s annual 1072 Society, said that he would like for the museum to have a strong southern collection and that he was pleased that the university has a place to exhibit art connected to Auburn and Alabama. He said he also hoped the collection could one day include works by artists featured in major museums, noting the significant support required to develop such a collection. The senior Draughon also played a role in collection building, as his son said he was instrumental in the acquisition of JCSM’s first collection. 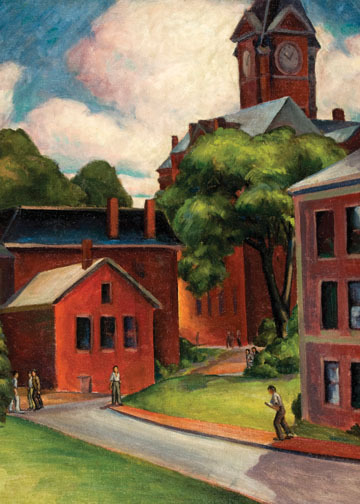 “My father was very proud of his association with Advancing American Art. 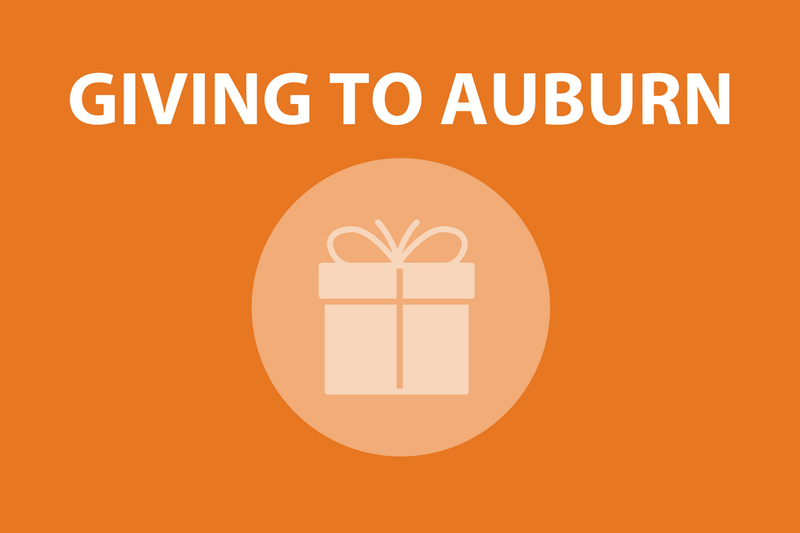 He read the federal catalogue and always thought it was not only an important acquisition for Auburn, but a feather in his cap,” he said. “His office negotiated the sale with federal officials.” The acquisition records were among his father’s papers that he donated to the Ralph B. Draughon Libraries. Spoken like someone who truly believes in Auburn, and loves it. "The museum has an important place in the university's past and future. It is very meaningful to be a part of that for me."